Natascha Metherell is based in Copenhagen. Her career has seen her work with many renowned opera and theatre companies internationally. 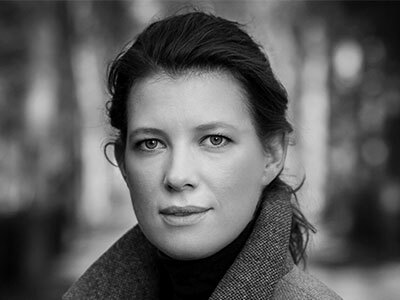 Recent engagements include: The Marriage of Figaro (director/Royal Danish Opera Academy); Mostly Mozart (director/Royal Danish Conservatory of Music); RED (director/Regional UK Tour); Chamber Maskarade (director/Danish Royal Opera, Copenhagen Opera Festival, Danish national tour); Benvenuto Cellini (revival director/Opera di Roma, Opéra de Paris, Liceu Barcelona); La bohème (revival director/ Cincinnati Opera, Liceu Barcelona); The Damnation of Faust (associate director/Staatsoper Berlin); Die fliegende Holländer (director/Royal Danish Opera); Eugene Onegin, The Barber of Seville, The Impresario, I Pagliacci (director/Stanley Hall Opera). Forthcoming engagements include: Tristan und Isolde (director/Royal Danish Opera); Titanic world premiere (director/Royal Danish Opera).